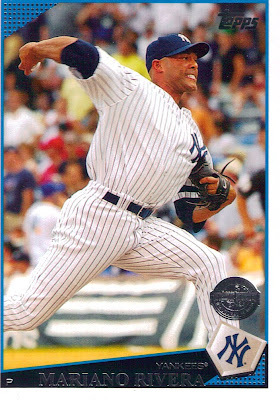 Going through my 2009 Topps set, I found this awesome card of Mariano Rivera. For once, it seems like he’s showing some emotion. But really, he’s just delivering a pitch. Knowing his consistency, that’s his exact expression every time. Speaking of Rivera, the Yankees are still waiting on him to say whether he wants a one or two-year deal. Either way, I’m sure he’ll be back in pinstripes next year.